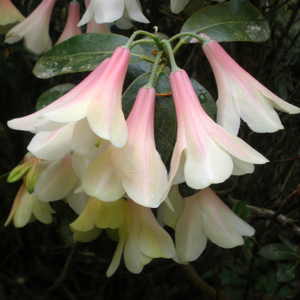 In the depths of winter when there’s not much else going on in the garden scented plants really come into their own. 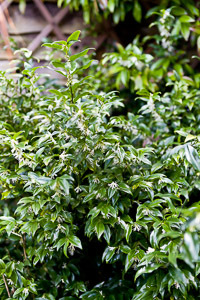 One of the top plants for winter fragrance has to be Sarcococca which is commonly known as ‘Christmas Box’. There are a number of varieties of Sarcococca but I tend to plant Sarcococca confusa as it’s a compact evergreen shrub which is very well-behaved and doesn’t need any maintenance other than the odd clipping to tidy up. For much of the year it’s just a background plant but in winter its small white flowers give off a really powerful scent. And in any case background plants have their place in any garden. 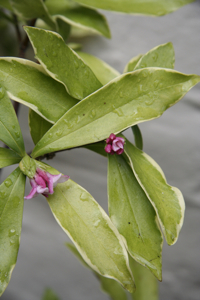 As Sarcococca are happy in shade you can plant more flamboyant perennials in front of them for summer interest. 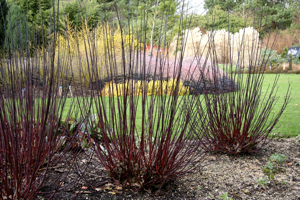 The glossy dark green leaves provide an effective foil for more colourful plants. 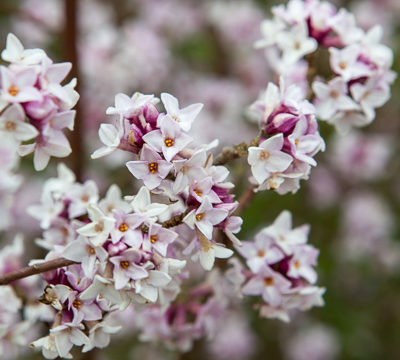 Daphnes are wonderfully fragrant and if you have the right soil conditions there’s nothing quite like them to fill the garden with perfume. 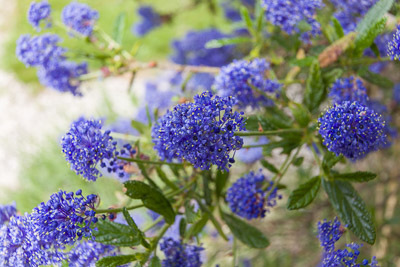 They generally do best in lime-free soil with a reasonable amount of moisture but good drainage – so unfortunately they are not the right plant for every garden. 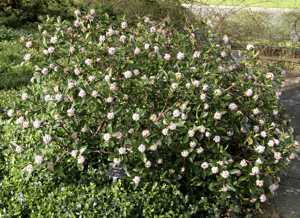 I particularly like Daphne odora ‘Aureomarginata’ which forms a small rounded evergreen shrub but unlike the straight Daphne odora, this variety has creamy yellow margins on its narrow leaves for added foliage interest. 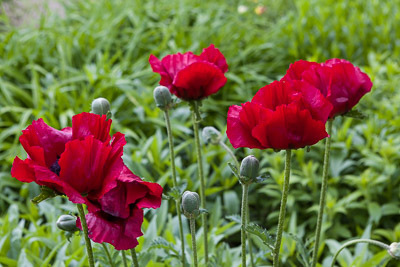 It also grows well in a pot so if you don’t have the right soil conditions in your borders, give it a go. Works for me! Hamamelis (or Witch Hazel) are large deciduous shrubs which make a great feature plant in the gloomy winter months. 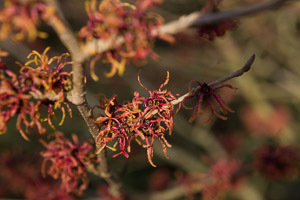 The spidery flowers (ranging in colour from yellow through orange to red depending on variety) appear on bare branches and glow in the winter sunshine. Hamamelis have a lovely spicy fragrance and, like Daphnes, prefer a lime-free soil with decent moisture levels (but no risk of waterlogging). Be warned though – they are very slow growing and many varieties need plenty of room to spread. 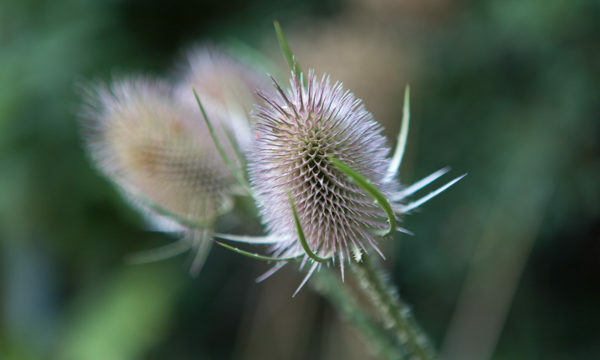 And do remember, if you’re adding plants to your garden specifically for winter scent, they need to be positioned where you can enjoy them most. There’s not much point sticking them way down the garden where you never set foot between November and March! Put them near a pathway, doorway or seating area where you can really make the most of what they have to offer. You won’t be disappointed – and if you can bring yourself to cut off a stem or two, you can fill your house with fragrance too.